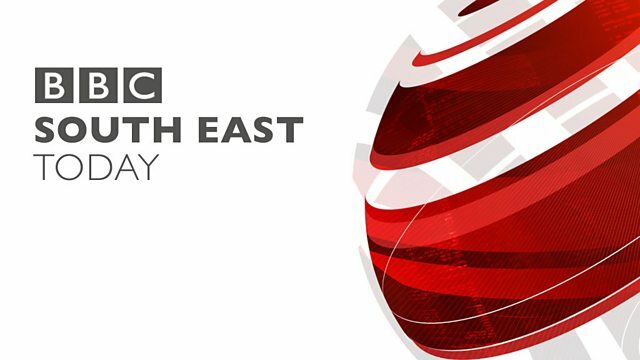 The latest news, sport, weather and features from the South East of England. government targets, as Peter Whittlesea reports. as councils try and meet national housing targets. footpaths, and it's the only countryside we've got left. than they wanted to, to meet government building targets. Do you actually have enough brownfield sites? So whatever happens on this local plan, someone's going to be upset? go-ahead, more protests are expected. Peter Whittlesea, BBC South East Today, Borden. navs designed for cars, according to local councils. in narrow lanes in villages such as Mereworth in Kent. navs specifically designed for their vehicle. that actually give them an idea of where they can safely drive. in Maidstone at around a quarter to one this morning. There's not many people who get them. been knocked out of the FA Cup by non-league side Lincoln. In their fourth round match Lincoln won 3-1. Gillingham drew with Shrewsbury Town 1-1. Time for a look at the weather now with Wendy Hurrell. this evening and they will continue overnight as well. The showers continue into tomorrow morning. generally quite a lot of cloud around as well. Temperatures will be around seven or eight Celsius.